My thesis show, Doxa: Prayerful Pots, explores the foundational human urge to create through the lens of my faith. I use functional pottery as the source material to examine Judeo-Christian art theory concepts. Ancient cultures used “doxa” to mean both “belief” and “glory.” These dual definitions appear in contemporary ideas of orthodoxy: “a true belief” and doxology “an expression of praise.” Each vessel presents the new and old doxa: columns reach for boldness to approach the Creator, bowls long to serve, cups seek to commune, and platters embody the process of life. These themes are expressed through my vessels by the creation of simple ceramic forms, my touch as a maker in the materiality of the work, and finally how the clay bears all the marks of process. Doxa reminds us of timeless truths: that the glorious can be found in the mundane, the divine in the common. The work consists of stoneware clay that has been fired at high temperatures in soda and wood atmospheric kilns. This surface treatment exhibits the transition of flame and ash across the vessel. 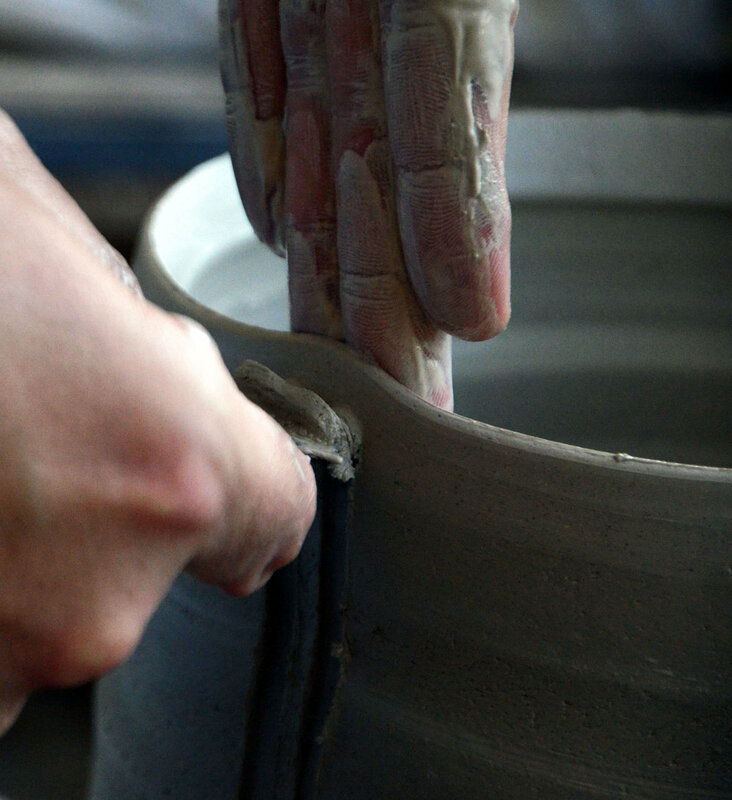 Putting the kiln in heavy reduction at the end of the firing encourages the dark greys and blacks that contrasts the subtleties of the flashing slips and glazes. The drama of these surfaces are used as a metaphor, that of a relationship with a Divine Mystery. That mystery partners with my life and in the work as it is the last step that transforms earth into art. Each shift and transition of the flame is recorded on the pot as it holds this metaphor of the Divine in my life.